This is a DVD. 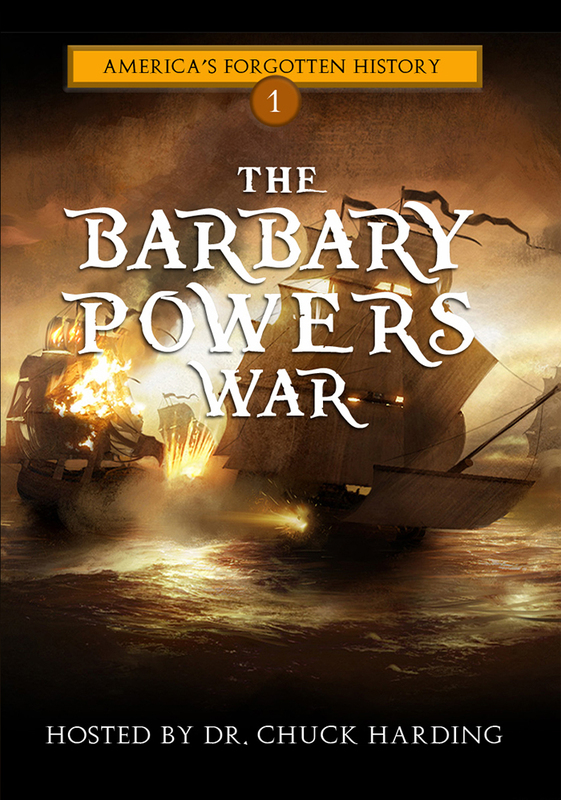 The Barbary Powers War lasted 32 years, involved six years of active overseas warfare against the Muslim people, and spanned four U.S. Presidencies. In the international waters of the Mediterranean Sea, Muslim Barbary corsairs, dispatched and commissioned from the surrounding Muslim nations, attacked unprotected American shipping. They plundered our cargo and captured our crews, women, and children and sold them into horrendous slavery…never to be heard of again…. America decided to put a stop to this barbarianism after four Muslim countries declared war on the United States.